Lovin sons always do what their mothers tell them to…even if it's to KILL!!! 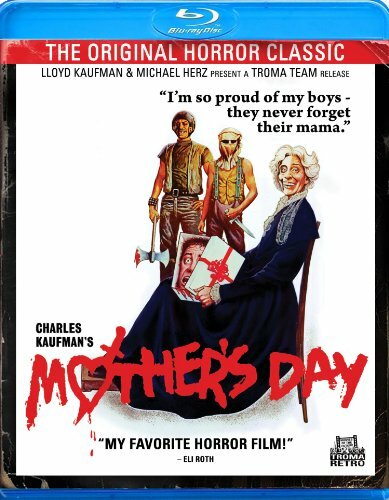 The Troma Team is proud to bring you Charles Kaufman's Mother's Day, the independent horror classic which redefines the term ''family values.'' This stylish, horrific and darkly humorous film is a worldwide favorite. In the spirit of The Texas Chainsaw Massacre, Mother's Day is a celebration of gore and depravity that is certain to offend the weak of heart!